An interesting challenge has been to create a modern design of a self-service car wash. Undoubtedly, this kind of space is mainly functional, but even here we have been able to smuggle a note of a unique design. Our goal was an impressive combination of a practical form with modern materials, therefore we focused on combination of glass and steel. 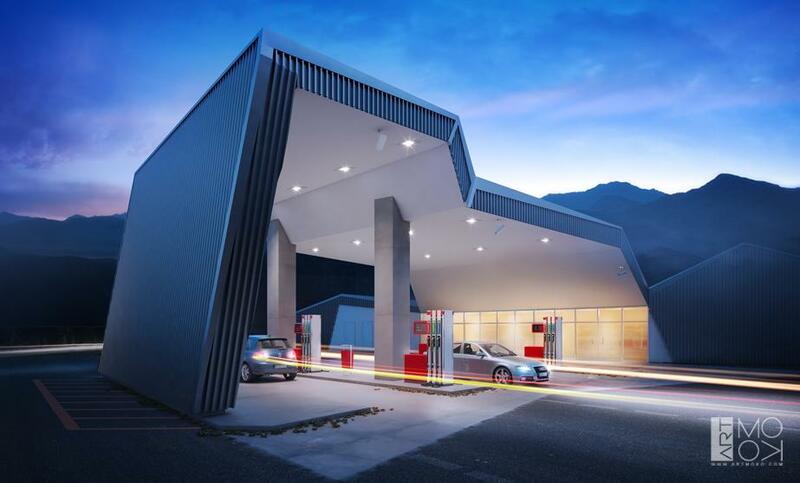 In this way we have obtained the effect of a fully modern architecture which is to satisfy everyone, even the most demanding customer of the car wash.
For one of our clients we had an opportunity to design a gas station inspired by the surrounding mountains. 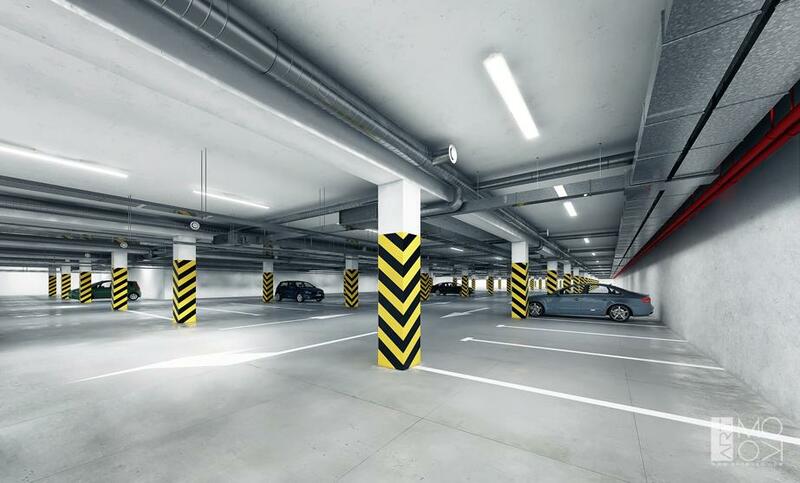 Our studio prepares also such unusual designs as underground parking lots. Not only do we meet all safety standards, but we also pay attention to the comfort of use and the esthetics of the space.